Among all the flowers, sunflowers are the happiest flowers. They are gifts of radiant warmth which meanings include loyalty, faith and longevity. Not only because sunflowers are brightening yellow that attractive people, but also because sunflowers’ meanings are romantic. The sunflower is the Greek symbol of Clytie (a water nymph) who turns into a sunflower after grieving over the loss of her love (Apollo). The mythological symbolism here is that Clytie (in the form of a sunflower) I always facing the sun, looking for Apollo’s chariot to return and she might be joined again with her love. Also, in esoteric Christianity, the sunflower is a symbol of God’s love. The sunflower as a symbol can also represent the unwavering faith that guides the soul to the highest spiritual attunement. Beside of sunflower’s romantic meanings, it is also tough. 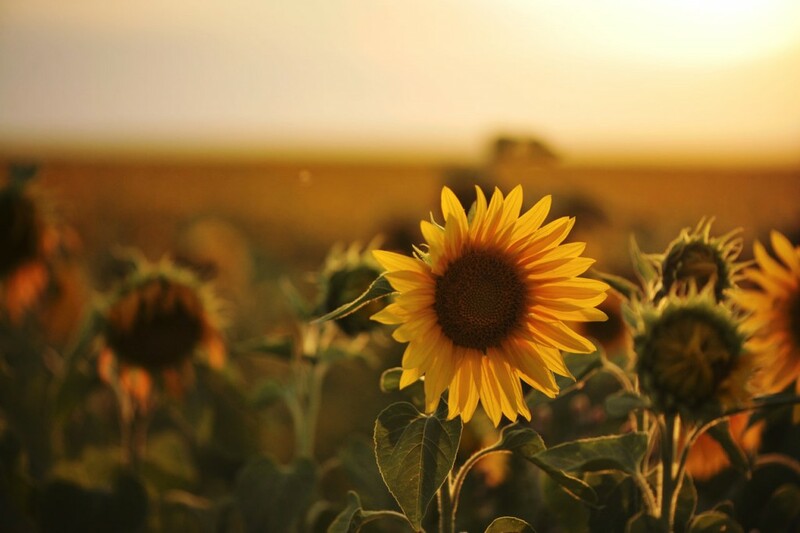 Sunflowers grow best in locations with full sun, and they will grow in any kind of soil as long as it is not waterlogged. They do fine in soils that are slightly acidic to somewhat alkaline (PH 6.0-7.5). Once sunflowers get started, they can tolerate drought as befits plants whose ancestor grew happily in dry prairie regions. They are so easy to grow that they often plant themselves, springing up unbidden beneath a bird feeder. 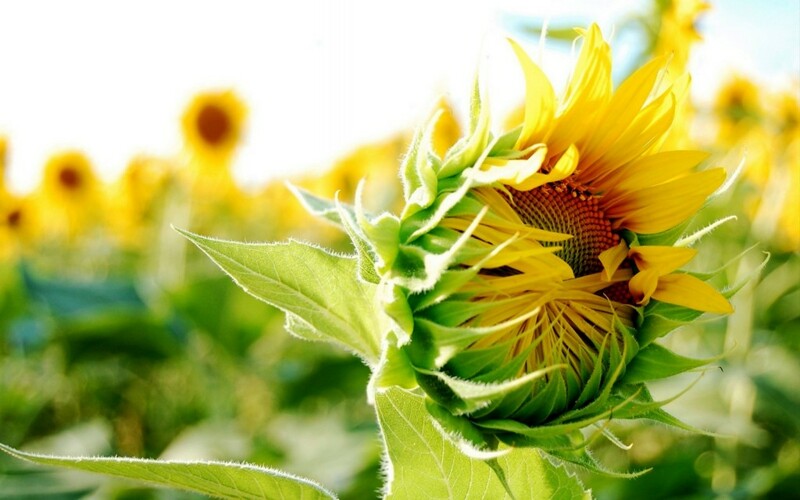 Sunflower seeds, leaves and stems emit substances that inhibit the growth of certain other plants. They should be separated from potatoes and pole beans. Where sunflower seeds are regularly used as bird feed, toxins from the accumulated seed hulls eventually kill the grass below, however, harmless to animals or people and the toxins eventually biodegrade in the soil. If you are interested in this kind of flower, why not have a try on it? It is easiest to sow seeds directly into soil after all danger of spring frost is past. 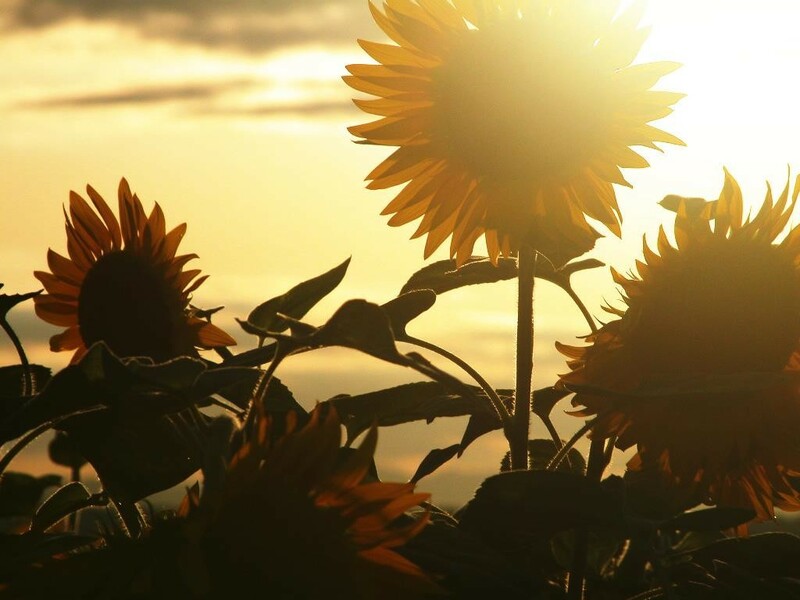 Water and sun rays are the two important things to sunflowers. You can find the flower seeds at your local store or online. 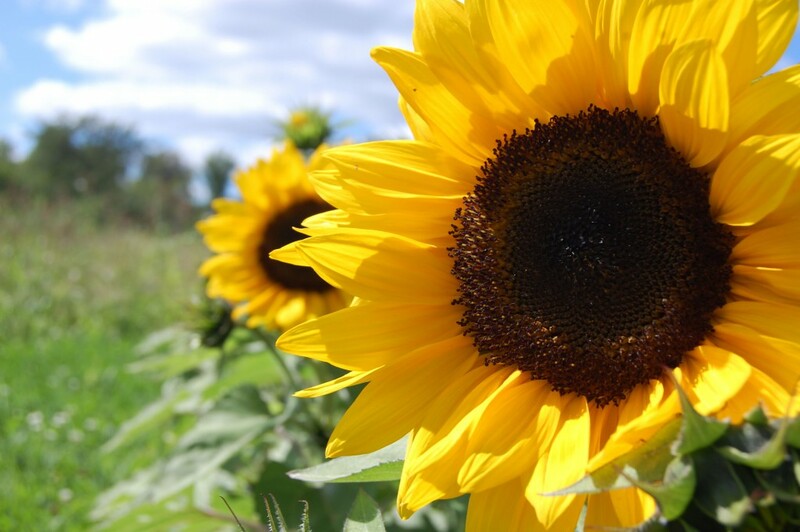 Once you buy the seeds, you can start to grow wonderful sunflowers.